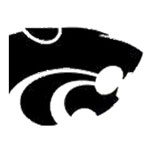 NORMAL – Normal Community West High remained undefeated Saturday, May 29 following their Illinois High School Association Class 4A regional championship win over Minooka at Normal Community High Saturday. The Wildcats beat Minooka, 1-0, advancing to Sectional play this week. Date and location of that game had not been determined as of Saturday’s game. All the scoring took place in the bottom of the seventh inning, breaking a scoreless tie. West pitcher Lauren Cumbess led off the bottom of the seventh with a single, and was substituted for on the bases by Courtney Harp. Erin Huddleston followed Cumbess to the plate and bunted the ball back to Minooka pitcher Kristi Lenz for the force-out. While Huddleston was being tagged, Harp motored around second and beat a fast throw into third, with one out. Rebecca Rupard followed for West with a smash hit into shallow left field, allowing Harp to score what turned out to be the only run needed for a victory. “I saw that third base was open, and we have always worked (on going from first to third) a lot in practice, so I saw the opportunity and did it,” Harp said. Normal West has a board in their dugout that they use to mark off the number of games remaining until they get to a championship. With Saturday’s victory, they were able to say they have just five games to go to achieve their championship goal. Whereas the outcome looked easy, West’s getting the end result proved challenging against Minooka pitcher Lenz. Lenz struck out six Wildcats batters – two of those looking — in seven innings’ work. “Our goal was to come in and get as many hits as we could,” said Minooka head coach Amy Saelens, as she explained the strategy her team had going into the contest. “We kept West off the bases pretty much the whole game. Lenz and catcher Andrea Carlson did exactly what they needed to do. We played great defense, doing exactly what we needed to do. I’m not looking back (with) any regrets. “It was a great game with timely hitting,” Saelens said. Minooka finishes the season with a record of 26-10. NORMAL – At the regularly scheduled meeting of Normal’s Unit 5 School Board on May 26, Board members honored 24 educators who applied for and won grants from Bloomington-based Beyond The Books Educational Foundation. Begun in 1992, The Beyond The Books Foundation was formed to fund innovative programs for the students of Unit 5 and District 87 public schools. A total of 24 teachers from 10 Unit 5 schools received grants from the Foundation.  Susan Steinbach (Towanda Elementary). In addition to those listed above, five other teachers from Benjamin Elementary School, set to open at the beginning of the 2010-2011 school year, received grants. Those teachers are: Mary Aper, Abigail Gerike, Tracie Ghrist, Jennifer Gibson, and Tena Sprau. Board To Meet Once in June: The Board’s next meeting will be on Wednesday, June 9 at District headquarters, 1809 W. Hovey Ave. Board members unanimously approved a motion to cancel their June 23 regularly scheduled Board meeting. BLOOMINGTON – Normal University High’s first runs came quickly in their Illinois High School Association Class 3A regionals at Bloomington High Tuesday. From just the second pitch of the game, to be exact. Lead-off hitter Kelsey Wilson put her and her Normal University High teammates up first in the game with a home run over the left center field wall. It was a slow start, but the Pioneers added six more runs to that to advance to Saturday’s regional championship, blanking the Potters, 7-0. Pioneers’ right fielder Danielle Warner also scored in the first inning, having walked, and advanced around the bases on hits by teammates Haley Cook and Chole Hundman, giving U-High a 2-0 advantage at the end of the first half-inning. Morton’s defense perked up once they recovered from Wilson’s home run. In the second through fifth innings, the Potters kept U-High (19-14) at bay, with Potters’ sophomore pitcher Tori Nimmo registering one strikeout, and the infield defensive connection of senior third baseman Carli Yingling to first baseman Nikki Eigsti being responsible for five put-outs. But Morton (21-14) couldn’t manage to keep the Pioneers at bay when U-High went to bat in the bottom of the sixth inning. With two out in the sixth, Kristen Satchwell, relieving pitcher Kali Riddell at bat doubled home first baseman Cook, increasing the score to 3-0. Pioneers second baseman Jane McCullough doubled home Satchwell’s pinch-runner, Mia Hartung, making the score 4-0. Wilson doubled home McCullough, increasing the score to 5-0. Warner followed for what would be her last at-bat, smacking a triple, scoring Wilson. Morton demonstrated a desire for a comeback when they managed to load the bases with two out, thanks to a single by Taylor Namanny, KayeLee Ridings, and Eigsti, but with the bases loaded, Catherine Drew hit to U-High second baseman McCullough, who threw to first baseman Cook for the game’s last put-out. U-High head coach Mike Sondegeroth said the victory “took the pressure off” of being in the regionals. “You should never take any regional game lightly, and nothing is going to be easy in the post-season, particularly when you are playing a program with the quality of Morton. On top of U-High’s opening inning performance, Buescher said her team “just couldn’t find any opening gaps” to hit the ball into in the outfield. “When we held (U-High) to two runs in the first inning, I felt we had a good chance to come back. U-High, the top seed in the Regional, will play an 11a.m. showdown at Bloomington High School against the winner of Wednesday night’s game between the winner of the semifinal between No. 2 seed Washington and No. 3 BHS for the Regional crown. BLOOMINGTON – Morton High School head softball coach Stacey Buescher said her team had been playing their best softball in the latter weeks of the season, winning 11 straight, which helped them get into the Illinois High School Association Class 3A regionals at Bloomington High Tuesday. But lead-off hitter Kelsey Wilson put her and her Normal University High teammates up first in the game with a home run over the left center field wall. It was a slow start, but the Pioneers added six more runs to that to advance to Saturday’s regional championship, blanking the Potters, 7-0. U-High, the top seed in the regional, now waits for an 11a.m. showdown at Bloomington High School against the winner of Wednesday night’s game between They advanced to Saturday’s 11 a.m. title game against the winner of today’s semifinal between No. 2 seed Washington and No. 3 BHS. NORMAL – Normal Town Council members unanimously approved a waiver from the Uptown Design Review Code, and permitted CVS Pharmacy to install signage that would cover more space in its windows than is allowed by the Town’s Uptown Design Review Code. The Town’s Uptown Design Review Code does not allow for more than 25 percent of windows to be covered by signage. When CVS presented their original proposal for signage for its new store, at Uptown Crossing, at the corner of Fell and North Streets, in March, it sought to cover 52 percent of the store’s windows. At that time, Council members voted to table the matter until CVS could rework their window sign proposal. Woonsocket, R. I.-based CVS Pharmacy returned to Monday’s Council session with a mock-up of a new sign with a reduction in signage from the originally proposed 52 percent to 36 percent. Adam Skrzeszewski, development representative for Elgin, Ill.-based Sure Light Sign Co., the company that manufacturers CVS’ signs, presented the three-dimensional mock-up of the newest sign proposal to Council members. At the March meeting, Council member Cheryl Gaines had concerns about the size of the proposed signage, but at Monday’s meeting, said she liked “how the windows are going to look” as a result of the changes CVS made to the sign. “(The new sign) just looks a little richer (rather) than (looking like) something just plastered to the window,” Gaines said in her approval of the changes made to the signage. Ratification of TIGER Grant For Transportation Center Approved: Council members unanimously approved an agreement with the U. S. Department of Transportation for the Town to receive Federal grant money to help with the construction of the new Multimodal Transportation Center, to be located along Beaufort Ave.
City Manager Mark Peterson said proposals by contractors for construction of the multimodal transportation center are due into Normal City Hall by Friday. That is just one of the ways selection of the construction firm will be different from most construction projects, Peterson said. Peterson said the Town will review the construction proposals, with Town staff and project consultants analyzing the bids. That will be followed by the bids being submitted to an internal review committee made up of Town staff, consultants, and Mayor Chris Koos. The review committee will select, Peterson said, “three to four finalists,” who will be interviewed. Based then on the finalists’ proposals and interviews, Council members will be presented with a recommendation as to which construction firm should be selected to build the four-story structure, which will located west of the Children’s Discovery Museum. There will be a four-story, 400-space parking deck adjacent to the transportation center. The estimated costs of the project are $15.45 million for the transportation center, and $11 million for the parking deck. The total project is expected to cost around $49 million, when infrastructure, construction of a rail platform, and various fees are added. The Town’s share of the total cost will come to about $14 million. Corn Crib Stadium Vendor Granted Liquor License: Council members, serving in the capacity of the Normal Liquor Commission, met prior to the beginning of the Council session and approved a liquor license to Sodexo America, LLC, 1500 Raab Rd. so that beer may be sold at the Corn Crib, the stadium home of the Town’s new baseball team, the Normal CornBelters. The CornBelters begin play on the road this weekend, and will have their first home game on Tuesday, June 1. Commissioners also approved imposing a $1,000 fine on Express Mart, Inc., doing business as Express Mart, 108 N. Linden St. for selling liquor to minors. The cost of the fine was because it was Express Mart’s second offense in three years time.  Approval of the minutes of the Council’s regular meeting of May 3, 2010.  Approval of Town of Normal expenditures for payment as of May 12, 2010.  A motion to waive the formal bidding procedure and accept a quote from Dennison Ford of Bloomington for the purchase of a 2010 Ford Explorer XLT 4×2 in the amount of $21,993 for the replacement of Engineering Department Vehicke E-5 (2000 Chevrolet Astro Van).  A motion to accept a bid from Bloomington-based Pro Air for HVAC replacements at City Hall and Fire Station #1 in accordance with the Federal Energy Efficiency and Conservation Block Grant Program.  A motion to accept bids and award a contract to Bloomington-based Stark Excavating, Inc. in the amount of $379,800.25 for the Willow St. Improvement Project from Linden St. to Beech St.
 A motion initiating a Zoning Code text amendment revising Section 15.4-4(B) (General Provisions – Uses and Structures).  A resolution authorizing execution of a lease agreement – Fairview Park.  A resolution accepting Warranty Deed from Abye K. Derege and Emily C. Freese – 2010 Vernon Ave. Bridge and Road Project.  A resolution accepting Warranty Deed from William M. Read and Donna L. Read – 2010 Vernon Ave. Bridge and Road Project.  A resolution approving an amended site plan for Heartland Community College (1500 W. Raab Rd.) – Highway Sign.  A resolution conditionally approving an amended preliminary development plan for the Shoppes at College Hills planned unit development – Panda Express.  An ordinance rezoning property in the Town of Normal – 602 and 604 Hester St.
 An ordinance setting the Public Hearing for the First Amendment to the Town of Normal Uptown Renewal Tax Increment Plan and Town of Normal Uptown Renewal Tax Increment Project area. The hearing is being scheduled for Monday, July 19 at 7p.m. at Normal City Hall.